Considering adding video conferencing and interactive collaboration capabilities to your company or campus? Now you have two great resources in one place. Systems Furniture has a strategic partnership with AVI Systems, an AV integrator. 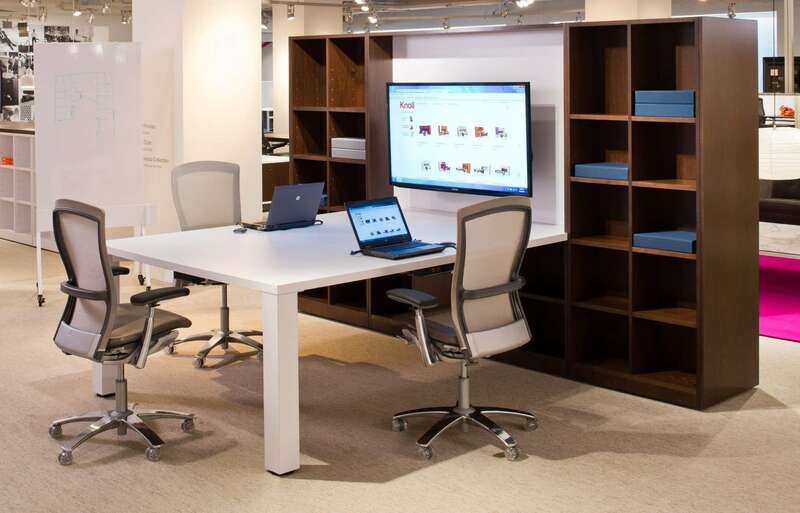 AVI has demonstration space with the Systems Furniture office to showcase not only video conference equipment, but also digital signage displays and interactive whiteboards. Systems Furniture offers a variety of specialty meeting room furniture that is manufactured to accommodate power and data and is ready for mobile device plug in. Tables, credenzas and seating are available for small collaborative work areas, casual lounge areas, training rooms, tiered auditoriums and large scale boardrooms.